For the month of March I was mostly using PURITO products and actually liked how my skin was reacting to them. I did an in depth review on three of their products that you can find here or here or here. The serum is super refreshing and has a lovely, natural scent. The essence is deeply hydrating and plumps up the skin. 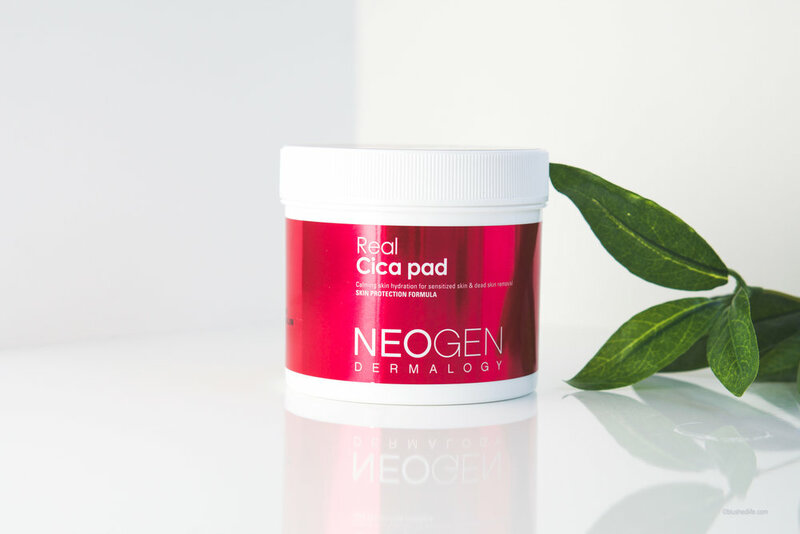 Neogen’s Real Cica Pads have been my favorite to exfoliate especially because my skin is so sensitive. I thought I was already quite gentle with my skin, but this proved me wrong. I’m realizing now with the skin type I have, over exfoliation happens way too easily. The full review of these pads can be found here. Thank you, husband! Kevin got himself a new job and treated me to the new iPad! I was using a 2nd generation iPad that was running super slow so this upgrade was amazing! I recently did a post on pimple patches where I compared all the different brands I picked up in Korea. I guess it’s a good thing I only used up two sets of patches? Less breakouts! Yes! I got a few samples of Neogen’s Micro Essence and was pleasantly surprised by how much I liked it! I wanted to order the full size, but I had to remind myself of the cabinet full of skin care waiting for me. Sigh… what an addiction. Sulwhasoo! I love how luxurious this essence is, but man! I should have used all of my Sulwhasoo products together to see how well the entire line worked. Darnit. At least I still have the mini set to use! I finally finished off the COSRX Moisture Up Pads, but won’t be repurchasing. I found the Neogen Cica Pads much more effective and comfortable. This is still my most favorite cushion foundation I’ve used. I’m currently testing out some Clio ones and they just don’t feel and look as good as Troiareuke’s. I’m so glad I picked up a few in Korea!